IF result (cilia stain) of anti-BBS2 (11188-2-AP, 1:50) with serum-starved hTERT-RPE1 cells by Dr. Moshe Kim. 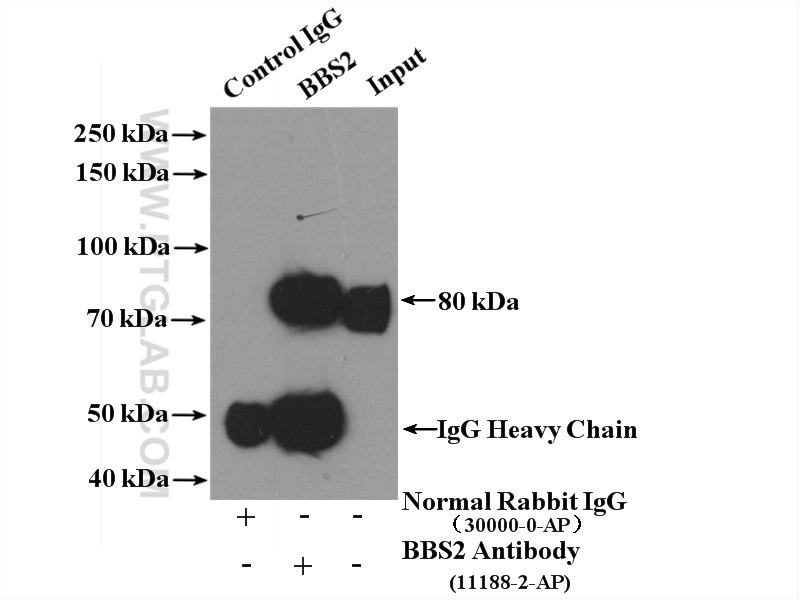 IP Result of anti-BBS2 (IP:11188-2-AP, 4ug; Detection:11188-2-AP 1:300) with mouse testis tissue lysate 4000ug. BBS2 is one of seven BBS proteins that form the stable core of a protein complex (BBSome complex, 438kd) which is required for ciliogenesis but is dispensable for centriolar satellite function. Essential role of nephrocystin in photoreceptor intraflagellar transport in mouse. Patterns of expression of Bardet-Biedl syndrome proteins in the mammalian cochlea suggest noncentrosomal functions. 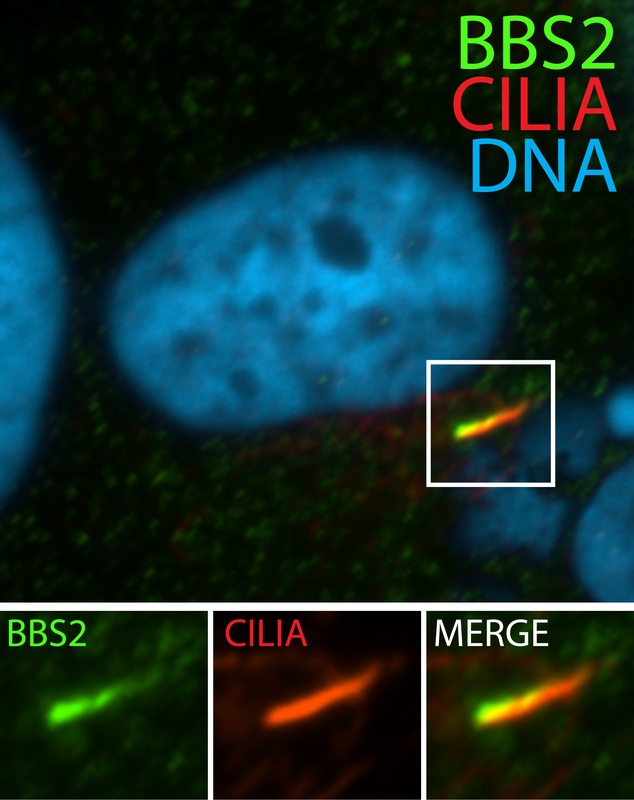 The conserved Bardet-Biedl syndrome proteins assemble a coat that traffics membrane proteins to cilia. A truncating mutation of Alms1 reduces the number of hypothalamic neuronal cilia in obese mice. Asymmetric segregation of the double-stranded RNA binding protein Staufen2 during mammalian neural stem cell divisions promotes lineage progression. A novel form of ciliopathy underlies hyperphagia and obesity in Ankrd26 knockout mice.